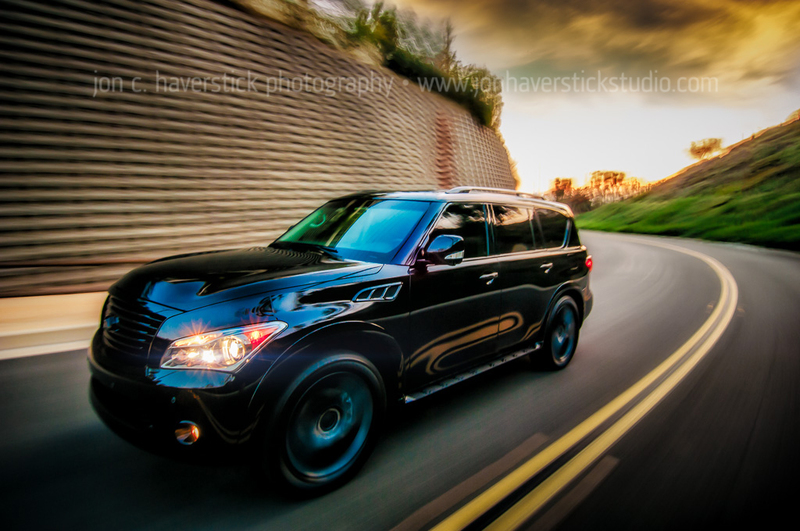 I had the distinct pleasure of being able to photograph a friend’s new 2014 Infiniti QX80 SUV this past weekend. 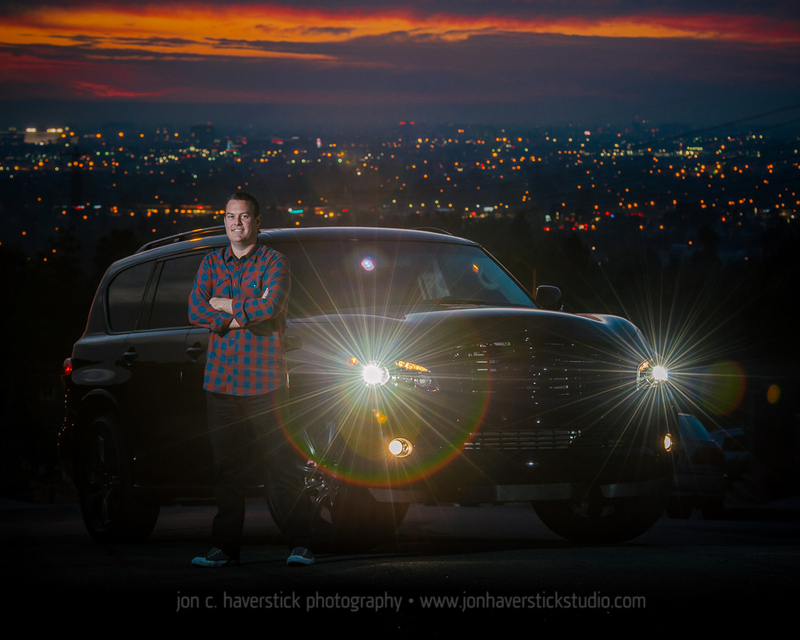 Gary’s QX80 is a gorgeous blacked-out model, and it photographs beautifully – reflecting the color of the late afternoon Southern California sky like you wouldn’t believe. Our first location choice was a bust due to a locked gate, but plan B worked out great! Just a little traffic to contend with, but worked out just fine. Motion rig automotive photography is not a one-person job. Manhandling the boom, driving, directing traffic – couldn’t do it alone! Many thanks to my good photographer friends, Booker and Bob, for this assistance on this shoot, AND for capturing some behind the scenes photos as well. Thanks, too for making sure I didn’t get run over in the process! Special kudos to Gary for being a good sport with his new baby, and taking time away from family to spend with us on a beautiful SoCal Saturday afternoon! For more inspiration, check out our Automotive Photography gallery. And if you’re interested in having YOUR car added to the gallery, please don’t hesitate to CONTACT US to schedule your session today! 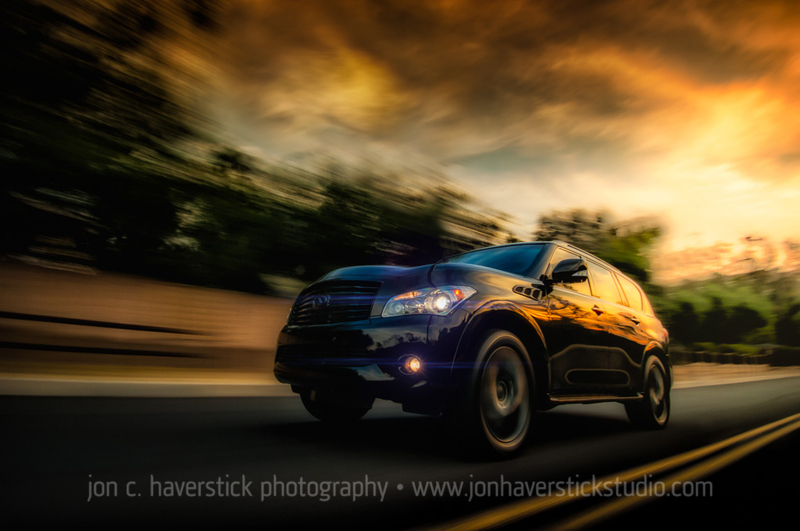 This entry was posted in Action, Automotive Photography, Behind the Scenes, Commercial Photography, Product Photography and tagged automotive photography, Infiniti, QX80, rig photography, SUV. Bookmark the permalink.